The Peoples Democratic Party (PDP) has condemned the gruesome murder of at least 41 Nigerians by gunmen in Zamfara State. In a statement issued on Saturday by its National Publicity Secretary Kola Ologbondiyan on Saturday, the PDP accused the Federal Government of failing to live up to the responsibility of securing the lives of the people. “The party lamented the continued failure of the All Progressives Congress (APC)-controlled Federal Government to take decisive steps to end the incessant killings in various parts of the country, the latest being Wednesday’s massacre of 41 defenceless Nigerians in Zamfara State,” the statement said. The attack was carried out by suspected armed bandits in Birane village in Zurmi Local Government Area of the state, in North-west Nigeria. 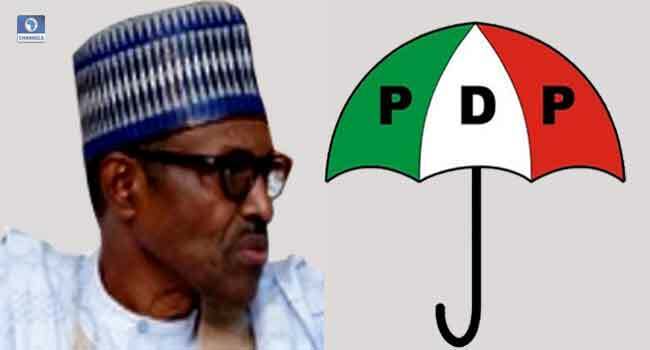 The PDP issued the statement one day after President Muhammadu Buhari described the killings as “heinous and inhuman attacks” on defenceless citizens. The President had immediately directed the Minister of Defence, Brigadier-General Mansur Dan Ali (Rtd), to proceed to Zamfara to undertake an on-the-spot assessment of the situation and report back. He also ordered the security agencies to swiftly mobilise and deploy their members to the vulnerable areas of the state, and ensure that the perpetrators are brought to face the full wrath of the law. But in its further reaction to the attacks, the PDP called on all Nigerians, irrespective of religion, ethnicity and political affiliations, to join forces in praying for Nigeria, as well as supporting one another. “It is heart-breaking that Nigerians are daily slaughtered by marauders while those elected to protect our people are only concerned with their selfish re-election bid in 2019 and meaningless photo opportunities in the media. “In the last two months, hundreds of helpless citizens have been murdered by bandits in various parts of the country and nothing concrete has been done by the Federal Government to end the butchery and bring the perpetrators to book. “Hardly have tears dried over the gruesome killings in Benue, Taraba, Kaduna, Nasarawa and other states when marauders hit Zamfara, a state known for peace, killing 41 citizens in cold blood, yet all we get is mere lip service from the APC-controlled Federal Government,” the statement read further. According to the party, Nigerians now live defencelessly and in perpetual fear while the people are losing confidence in the government as citizens now source their own security. The opposition party, however, identified with the people across the nation, saying it shares in their pains at the critical time. The PDP further commiserated with the families of those killed in Zamfara and other states and pray God to grant Nigerians peace and all-round protection in the country.